Louis Klinger, Klinger Bros. Co. There were a number of auto-related firms bearing the Klinger name in Manhattan in the early part of the 20th Century. Business names included Louis Klinger, Klinger Bros. Co. and Selnik-Klinger, and the proprietors included two sets of ‘brothers’; Louis and Joseph Klinger were the Klinger Bros. who constructed commercial bodies while Philip and William J. Klinger were the Klinger Bros, who sold Buick, GMC and Pontiac motor vehicles. A third pair of Klinger Bros., Joseph A. & Henry Klinger operated a very successful meat shop at 570 Second avenue, and may or may not be related to the other two pairs of ‘Klinger Bros.’, although a connection remains undiscovered at this time. The two auto-related Klinger Bros. may be related, however definitive genealogical information connecting the four principals also remains undiscovered. Only one item, the fact that they both distributed Buick automobiles during the mid-teens, connects the two firms, and it could be merely coincidence. Philip & Wm. J. Klinger’s ‘Klinger Bros. Co.’, which operated Buick / GMC / Pontiac distributorships at 1273 Jerome av. ; 2462 Grand Concourse; and 1696 Jerome Ave., 1141 Lexington Ave. and 421 East Ninety-third Street in the Bronx, N.Y., between 1915 and the 1960s did not construct motor bodies and consequently are beyond the scope of this encyclopedia. They later moved to 222 West Boston Post Rd., Mamaroneck, Westchester County, New York remaining in business into the 1970s. However, motor body construction was the specialty of Louis and Joseph Klinger’s ‘Klinger Bros. Co.’ whose biography follows. In 1902 Louis Klinger established a small carriage and wagon wheel repair shop in Manhattan. 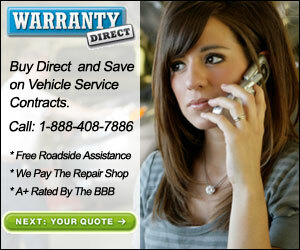 The business expanded and he embarked upon the manufacture and repair of commercial vehicle bodies. “Louis Klinger – NYC - BODIES, SEATS, ETC. - Wood and Metal - For Carriages, Wagons, Automobiles'. "New York N. Y.—Selnik-Klinger Co., under New York laws with $5,000 capital; to manufacture and deal in automobiles and parts for same. Corporators — Henry Selnik, Brooklyn; Louis Klinger and John Blumenthal, New York City." Although Selnik was involved in numerous Manhattan auto-related businesses (1912 - Auto Credit Sales Co.; 1914 - Equitable Garage, Inc.; 1914 - Star Automobile Exchange Co.), no further mention of Selnik-Klinger could be located. “NEW YORK CITY — Klinger Bros. Co., 745 E. 11th St. Louis Klinger, president and treasurer; Joseph Klinger, secretary." "Klinger Brothers Co., 68th St. & Broadway, NY City. (Commercial.)" Listings giving the 50 Fulton Street address continued into the late 1920s when the firm vanished from the nation’s trade directories. 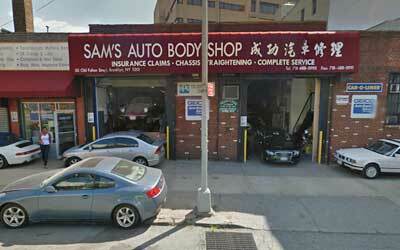 Their 50 Fulton Street shop (now 50 Old Fulton St.) is still standing and is currently the home of Sam’s Auto Body Shop.